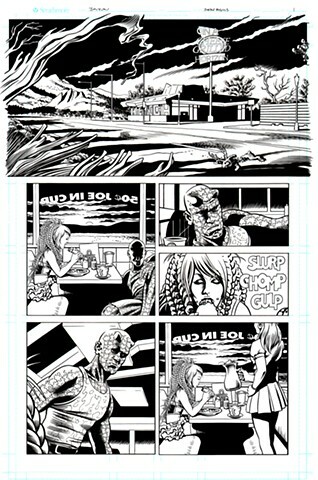 A few pages from a short story appearing in Show Devils issue 2. The Enigma and Serana Rose are performers you might have seen live or on television, for example The X Files. This story was written by artist/performer Daniel Crosier.